See more objects with the tag cutlery, silverware, luncheon, eating & drinking. 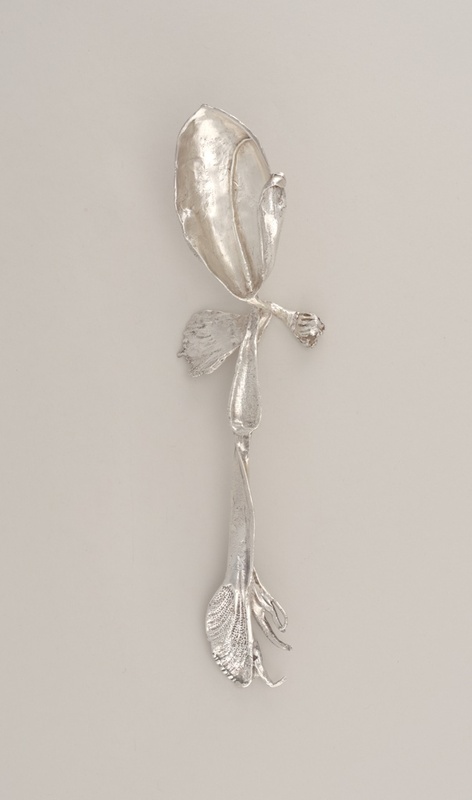 This and 8 other objects are a part of a set whose first object is Forks, Knives, And Spoons From A Flatware Set (France), 1966. This is a Soup spoon. It was designed by Claude Lalanne. It is dated 1966 and we acquired it in 1990. Its medium is molded and chased silver. It is a part of the Product Design and Decorative Arts department.